The Spring 2017 issue includes a selection of essays, poetry, and book reviews as well as papers from a symposium sponsored in 2015 by the Society for the Study of Christian Spirituality on the work of Barbara Brown Taylor. The issue begins with a meditation by Douglas E. Christie on entering into the darkness and finding solidarity and companionship there as a means of making sense of these bewildering times. The theme of “learning to walk in the dark” is echoed in the papers presented by panelists on the writings of Barbara Brown Taylor, as she explores the ways in which we encounter God in the thick darkness the church has often avoided in the past. Lauren F. Winner introduces the symposium; Peter S. Hawkins reflects on Taylor’s memoirs and spiritual journey; Thomas G. Long considers Taylor’s work in sermons and biblical scholarship; and Donyelle C. McCray discusses the “fandom” that has long followed Taylor on that journey and continues to inform that journey through shared conversations and questions. 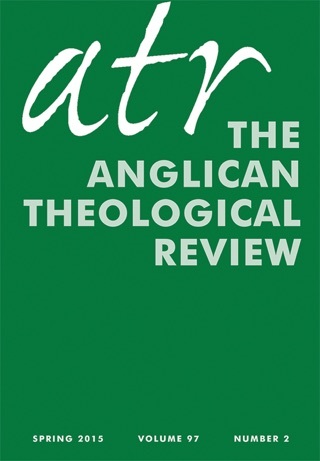 Also in this issue are Sue Groom’s well researched and articulate article on the evolving emphases on education, training, and formation for ministry in the Church of England, and the 2016 Hefling Essay Competition winning essay by Jillian Jackson on the possibilities for healing offered by a reading of the Trinity in terms of abundance and overflowing love to people suffering from eating disorders. 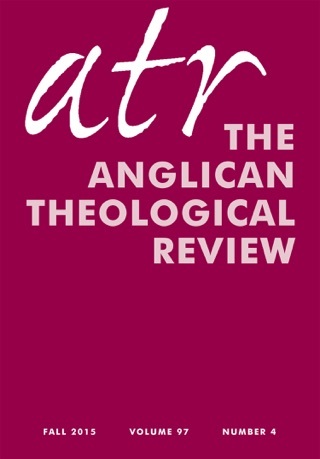 Two Practicing Theology essays are offered here that continue the series on ministries in university and college settings. Benjamin N. Garren reflects on the Episcopal campus ministry at the University of Arizona in Tucson, which seeks to incorporate respectful indigenous traditions into its worship and common life. Second, Paul J. Carling and Armando Ghinaglia describe the ongoing transformation of campus ministry at Yale University. Brad East’s review article focuses on the life and work of theologian John Webster, and is followed by two Reviews in Depth: Robert MacSwain reviews major works by Alvin Plantinga and J. L. Schellenberg, and Richard Lawson considers the role of religious architecture in our common life of prayer. As always, the ATR includes poetry and book reviews of the latest noteworthy books in the fields of theology and ethics, pastoral theology, historical theology, biblical studies, religion and culture, interreligious studies, poetry, and liturgics.